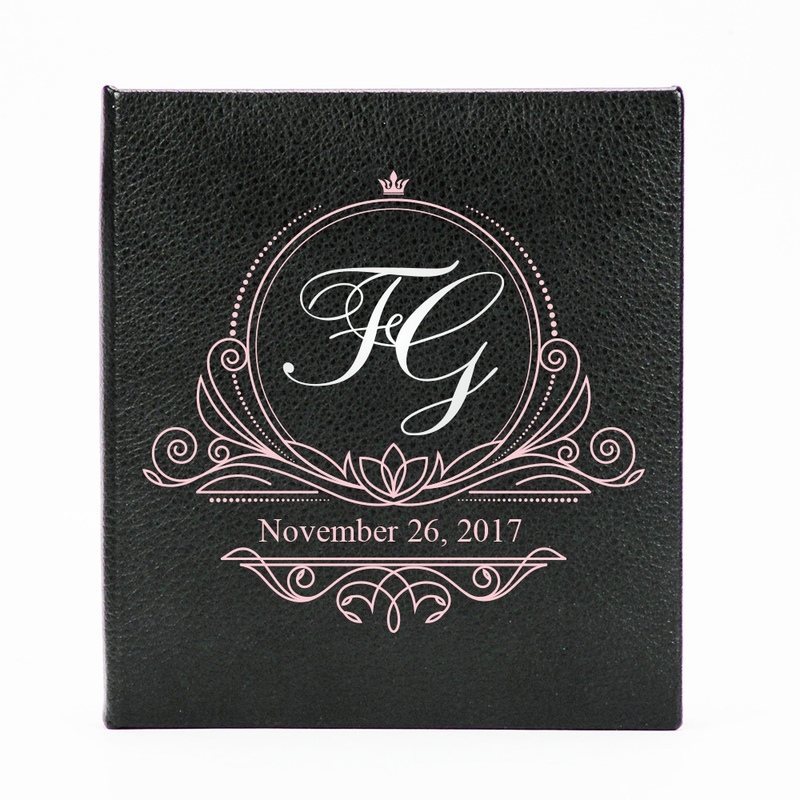 Make an impression by giving your photography clients a customized disc housed inside this black beauty! Our smooth to the touch, sleek Duo Folio with a Pre-Printed DVD is a great way for photographers to add value to their hard work. 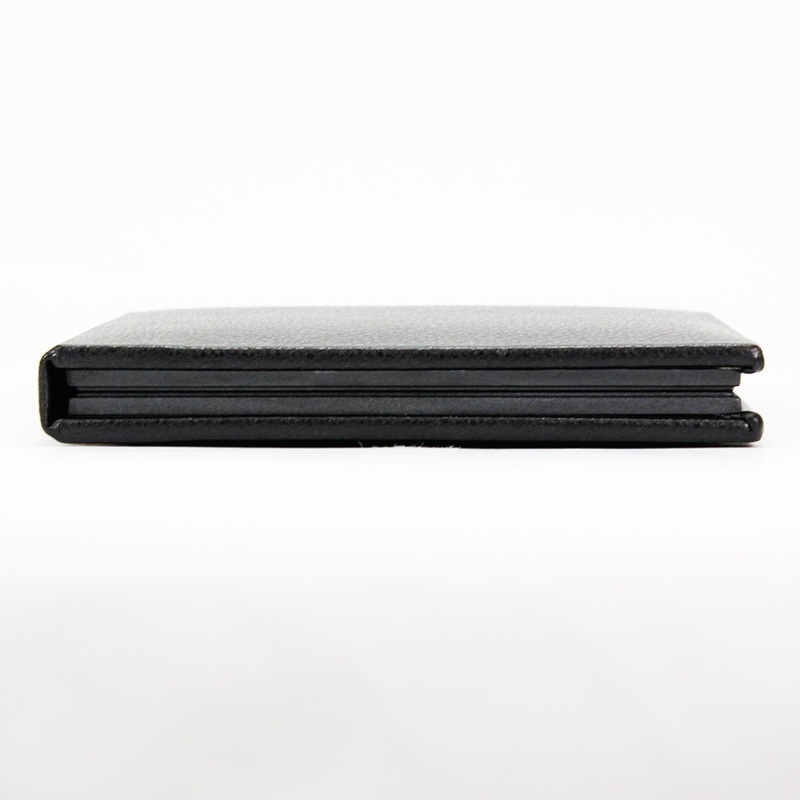 The Folio comes with a single pre-printed custom DVD and has a small display window to show off a photograph. A DVD packed with pictures and videos is a great way to sell yourself as a photographer. 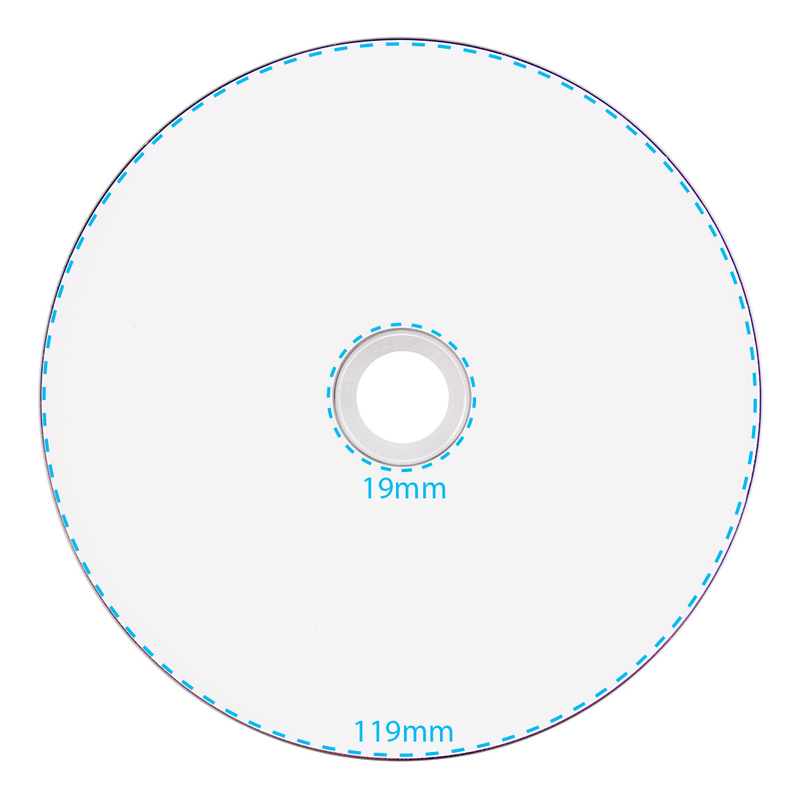 Packaging your work is crucial: nobody wants to receive a loose disc! 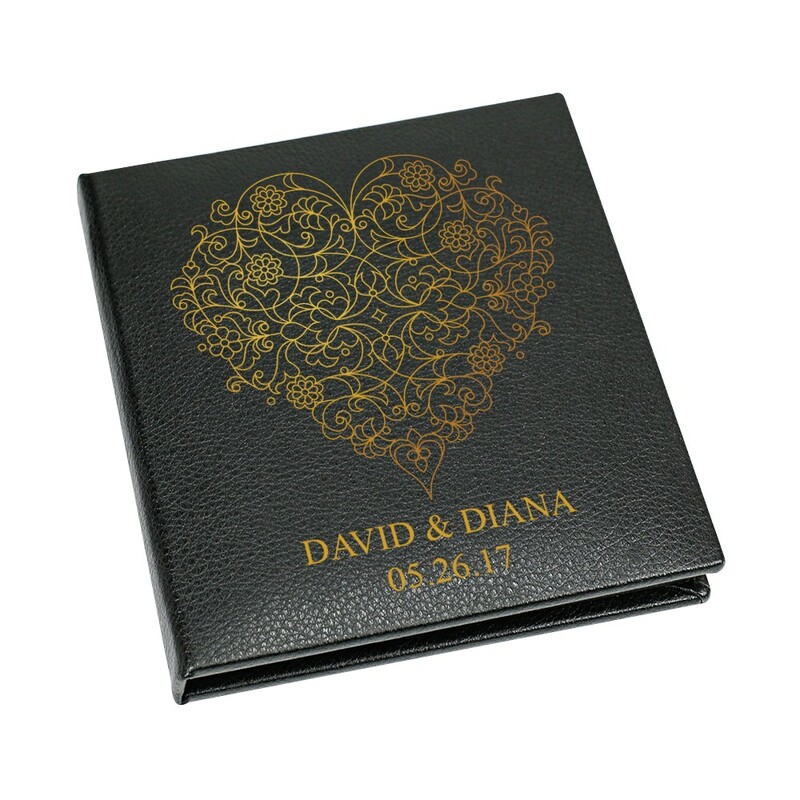 Make a strong first impression by saying no to paper DVD sleeves and saying yes to our luxurious Duo Folio with Pre-Printed DVD. 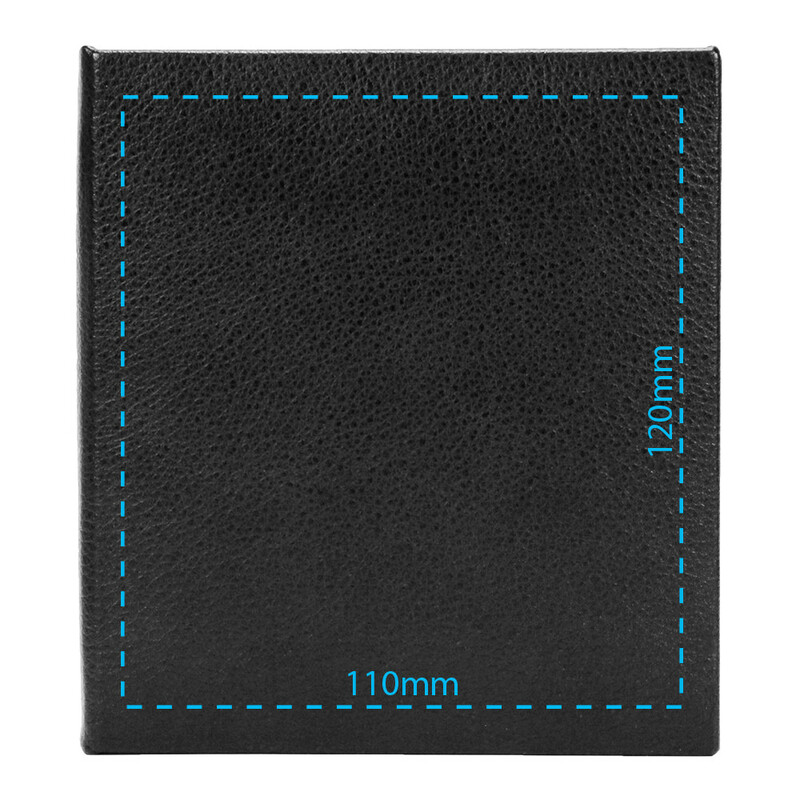 This textured black folio is sleek and durable. 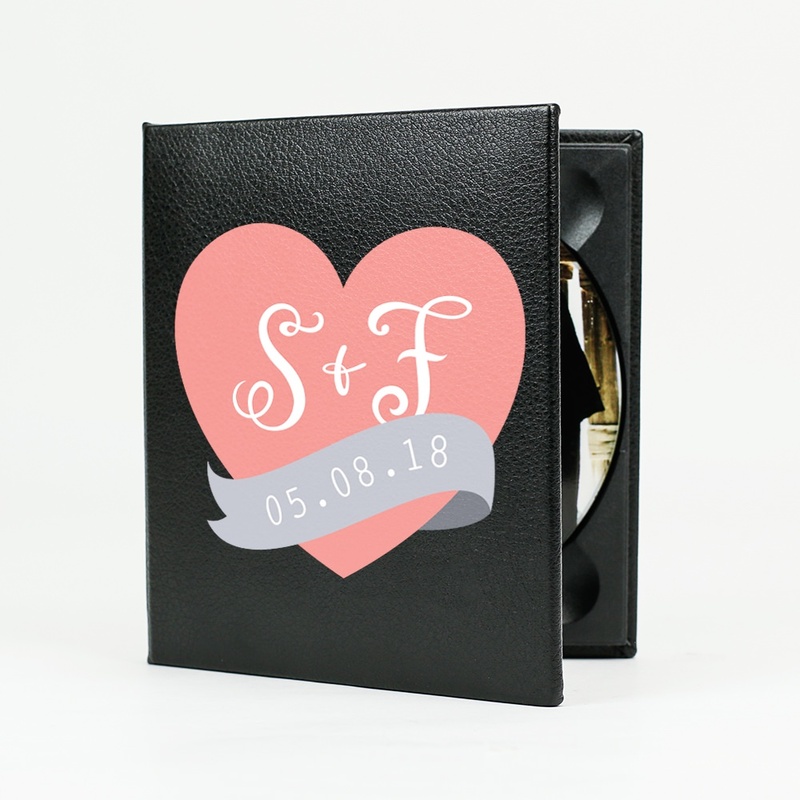 It comes with a single customized pre-printed DVD, making it a great way to show off your work! Speaking of showing off: it also comes with a small window display, perfect for spotlighting one of your photographs.